If you are a student who has graduated from high school or received your GED, you qualify to complete a general orientation session. Transfer students from other colleges with less than 12 credits must also complete a general orientation session. Below you will find information on how to prepare for orientation, what to expect at orientation, and drop-down menus with the available dates/times we offer orientation. When you are ready, schedule your session by choosing an available date from the menu drop-downs below, and complete the online sign-up survey. Know Your StarID and Password. Still need to learn this information? Click here. Complete the Accuplacer or have qualifying ACT, SAT, or MCA results. Need to schedule an Accuplacer or learn if your alternate scores qualify for placement? Click here. 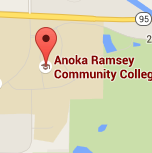 If applicable, send official transcripts of prior college coursework or AP/IB scores to Anoka-Ramsey. To request that your transcript be pulled from another MN State college: Click here and select the "Minnesota State Transcript Retrieval eform" link. Students who do no have other college coursework do not need to complete this step. To complete this step, click here and follow the steps. Sign up for Star Alert. Star Alert allows you to receive college closing or emergency communications to your email or phone. It is highly recommended that you connect either your phone or email to this message system. To sign up, click here and follow the steps. We are so excited to meet you! Below is a sample of our schedule so you know what to expect for the day. Our admissions staff will talk to the group about general college information, essential college policies and expectations for students, campus resources, and will give a registration tutorial. 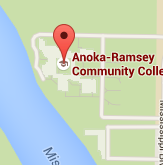 Students will meet with their assigned academic advisors for Anoka-Ramsey individually for 10-15 minutes. Advisors will provide students with course recommendations, help students check their Anoka-Ramsey accounts, and share the advisor's contact information with their students. With their course recommendations, students will register for classes, receiving help from Anoka-Ramsey's Admissions staff. We hope that once you leave orientation, you have met your assigned advisor, have a schedule of courses for your next semester, and feel comfortable with your next steps at Anoka-Ramsey. May 8, 2 to 4:30 p.m.